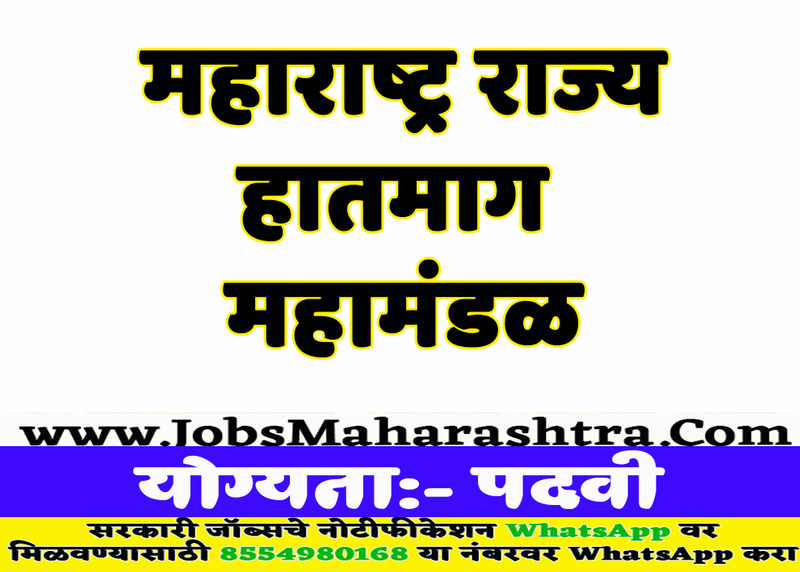 Maharashtra State Handlooms Corporation Ltd. Nagpur recently released a notification for recruitment of Clerk, Account, Computer Operator Posts. Interested and Eligible candidates who want to apply for these posts kindly attend the interview venue dated 12 February 2019 on the below given departmental address. For more details like age limit, salary, how to apply, selection process please refer the below article. 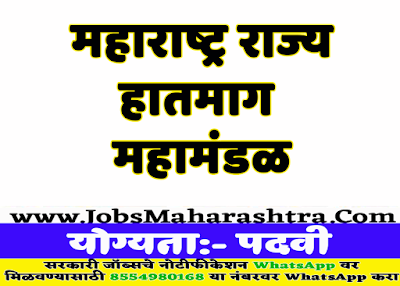 Pay scale will be decided by Maharashtra State Handlooms Corporation Ltd. After selection of candidates. Clerk (General):- Degree in any faculty, Diploma/Degree in Business Management having 2-3 years experience in Marketing & Production clerical work, computer MS-CIT Certificate. Eligible candidates can attend walk-in-interview on 12th February at 1.00 p.m. in the office of M.S. Handlooms Corporation Ltd. Umrer Road, Nagpur.